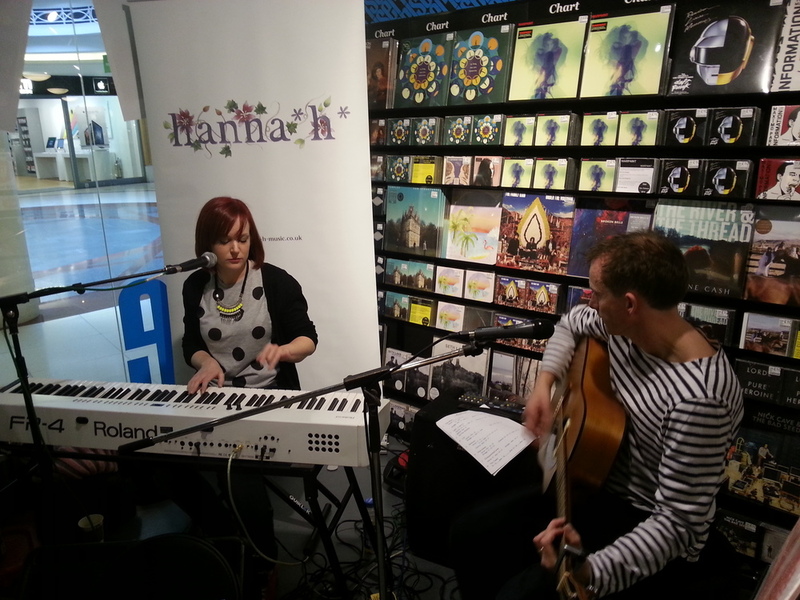 hanna*h* is a collaborative project between UK musicians Hanna Knight and Tim Haines. The duo have produced a fantastic set of memorable songs that can not only get the hairs on your neck to stand on end, but also have you singing along to memorable melodies. Their songs somewhere between pop, folk, soul and indie with influences spanning across all genres. Hanna's effortless vocals put a unique spin on the whole project, somehow pulling all of these styles together. Their first album, Atelophobia, has something for everyone and is described as "a collection of musings that journeys through the emotions of life and love" by the duo. Songs such as 'Jigsaw', ''Do You Realise?' and 'Lost in Translation' are emotional and personal but sit perfectly alongside others; 'Friday Night' and '2.4' which are upbeat reflections on life. Currently recording their second album, as yet untitled, the pair have honed their skills and promise to deliver more catchy tunes with heartfelt lyrics. Their songs tell a story - you have to hear them to understand. And we recommend you do. ""Behind every door lies a story, and here’s a door with more to tell than most. It all starts with a pretty village house where a full recording studio waits inside, surprising enough; then there are two dedicated musicians whose journey together started 20 years ago; and finally an album of haunting music that should be sad but leaves me feeling uplifted and hopeful. Just a few of the conundrums of the duo called hanna*h*. Hanna’s musical career began at the tender age of six when she learned her first instrument, the piano, and taught herself to read music. By the time she reached fourteen she had begun writing lyrics and first met Tim when she recorded one of these tracks at his studio. She continued playing and writing through her time at college eventually becoming keyboard player in a band. 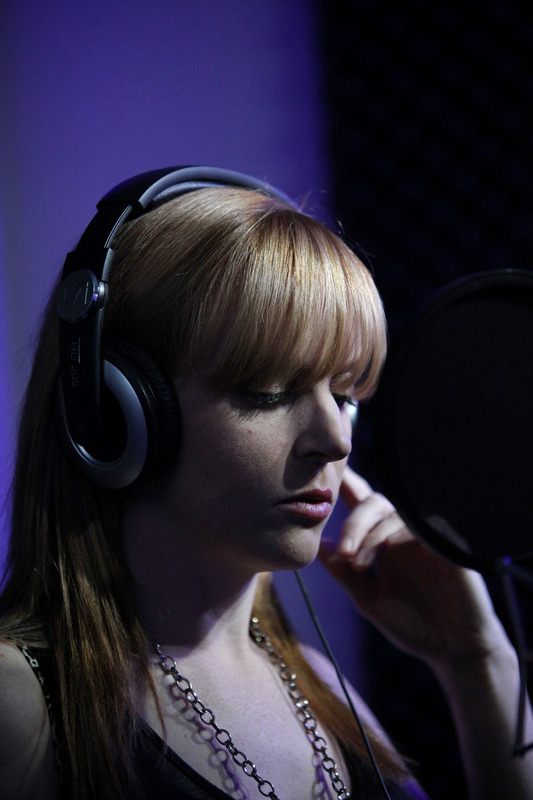 When Hanna decided to go it alone, leaving the band to work on her solo material, she knew exactly where to go for advice and in-depth musical knowledge. That’s when fate took a hand and the pair realised how well their song writing and creative skills complemented each other and thus hanna*h* was born. Those are the facts but music is about so much more than prosaic reality and this album, Atelophobia, ticks every box. Part indie-part folk-part country with Hanna’s beautiful vocals and Tim’s expert production it’s full of songs I want to listen to again and again. It’s the music of my generation, yes, but it’s so full of emotion and intensity that it would strike a chord with music-lovers of any age. Tim plays me a selection of tracks and for once in an interview I don’t want to speak, just sit in silence and live for a time in the world Hanna’s lyrics effortlessly draw me into. It’s a world where each journey is full of hope; sadness is mourned and accepted but, as in life, a way forward is there to be found. Their musicianship and skill is evident throughout, they are the complete antithesis to X-Factor culture, they have crafted and honed this album over the past 18 months, recording and re-recording until every note is perfect. With input from musicians in both the UK and the States, there are elements of grandeur as well as humour and just plain cleverness. “This is the sound of a cheese-grater,” laughs Hanna, “we just wanted to try something different so we raided Tim’s kitchen and this is what we came up with.” Instead of being a confused jangle though the grater and saucepans sound surprisingly musical, a testament to their creative abilities. Songs such as Play With Fire where Hanna sings acapella sit at ease alongside more rousing tracks, everything has been put together with such thought and care that the album works as a cohesive whole, one of those that you want to play through, song after song. But in which each individual song can stand alone. I’m reminded of albums such as The Seldom Seen Kid by Elbow, which tells a story but has more than one monumental track in it. Atelophobia feels like that kind of album to me. And a sign of their confidence and talent has to be the treatment they give to their only cover version, a bonus track called Slide Away by Oasis. I find it hard to recognise the original such is the innovative twist they bring to the song. 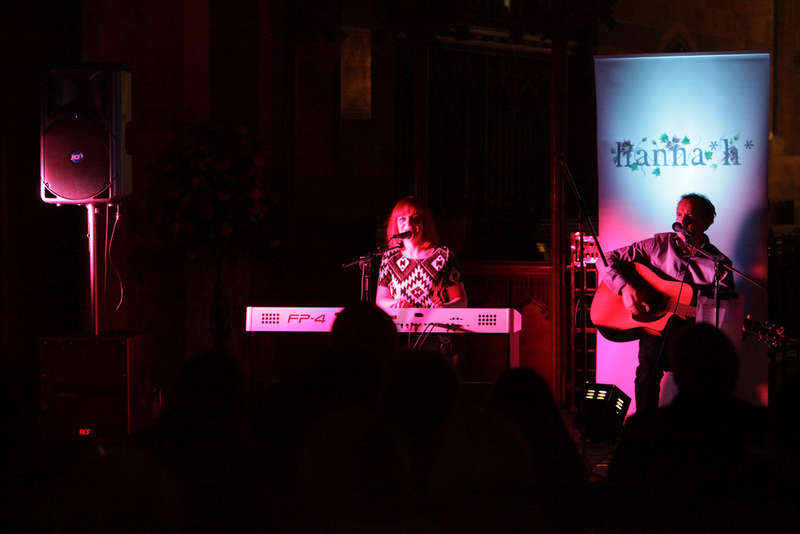 The duo are absolutely made for gigs where Hanna’s lovely voice can be appreciated and their acoustic sound heard clearly but at festivals and larger venues it’s easy to see how their songs can carry an audience, with the uplifting melodies drawing the crowd in. Indeed the album launch will take place at this summer’s Broadfest before they begin a tour around the country. One of the songs from the album has already been chosen to be played at the Ignite Festival in Exeter. Hanna and Tim have deliberately held back from promotion until now, wanting to ensure they brought out something complete and could then focus on the tour and appearances. It’s hard not to feel the buzz beginning to build up as the launch approaches! Playing live for hanna*h* means just Hanna, her voice and keyboard with Tim’s guitar and drumbox, I love this kind of intense and raw sound, that lets you get right inside the music with the singer. I imagine Hanna holding the audience spellbound, not with huge volume or stage histrionics just with the power and simplicity of her voice. The ability to encapsulate so many emotions into one song is a rare talent, but to Hanna it’s natural “I’ve been writing lyrics most of my life,” she says, “to me it’s just a different way to express feelings and emotions.” The last track on the album, Seasons, sums this up perfectly, in it she reflects back on their journey to make the album, but it also shares with us a journey through time itself. It’s something we can all relate to and Hanna’s words bring these feelings to vibrant life. Atelophobia means a fear of not being good enough, not being perfect. In my opinion it’s not something hanna*h* need worry about.